To Break or not to break……………..That is the question, but what is the answer? Over the last few months the Tenancy team at MIDLAS has seen an increase in situations which involve tenants breaking their rental leases. According to the West Australian news website and the Real Estate Institute of WA (REIWA) there has been a dramatic increase in the number of people inquiring about the penalties for breaking leases. Tenants are wishing to break their leases for a variety of reasons. Some tenants are seeking cheaper rentals and others are taking advantage of the lower interest rates and deciding to purchase their own homes. Whilst these sound like appealing options, it is important to be aware of the financial penalties that you as a tenant may occur in breaking your lease. Costs for breaking leases only apply where there is a fixed term contract in place. This means that there is a contract to rent the property for a specified period of time. Tenants renting via a periodic lease, where there are no fixed dates, need only give 21 days written notice. A tenant breaking a lease is liable to pay a portion of the owners fixed costs which would be the letting fee, advertising costs and inspection fees. The letting fee between lessor and agent is generally equal to one or two weeks rent and the amount payable by the tenant would depend on at what point the lease was broken. For example, if the lease is halfway through a 6 month contract then the cost may be half of the letting fee. It is suggested that the tenant contact the agency/ lessor for specific information regarding the advertising and final inspections costs. 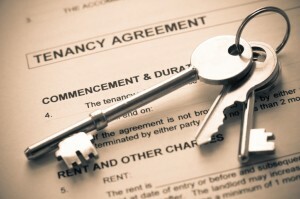 Remember that the tenant can also be charged rent on the property until new tenants are found. Legally the tenant is responsible for the property until it is relet. Some lease agreements may stipulate the costs involved in breaking the lease. It is always a good idea to try to negotiate an outcome with the lessor /agent that attempts to satisfy both parties. As always, any negotiated agreement should be made in writing. It is possible for tenants to find other people wishing to take over the lease on the property. This would obviously reduce any potential costs of breaking the lease. However, the lessor/agent makes the final decision as to who rents the property. Before you make the decision to break your rental lease, read your contract, contact your lessor/agent and get further information from a tenant advocate. Midland Information Debt and Legal Advocacy Service (Inc) (MIDLAS) empowers disadvantaged and vulnerable people within our community who are experiencing distress by providing them with free services and confidential: information, advocacy, options, referral and support so they can achieve a better way of life. To make an appointment or to find out more information visit www.midlas.org.au or give us a call on 9250 2123.